WaterWipes™ are a ground-breaking new product, tested to ensure purity and safety. 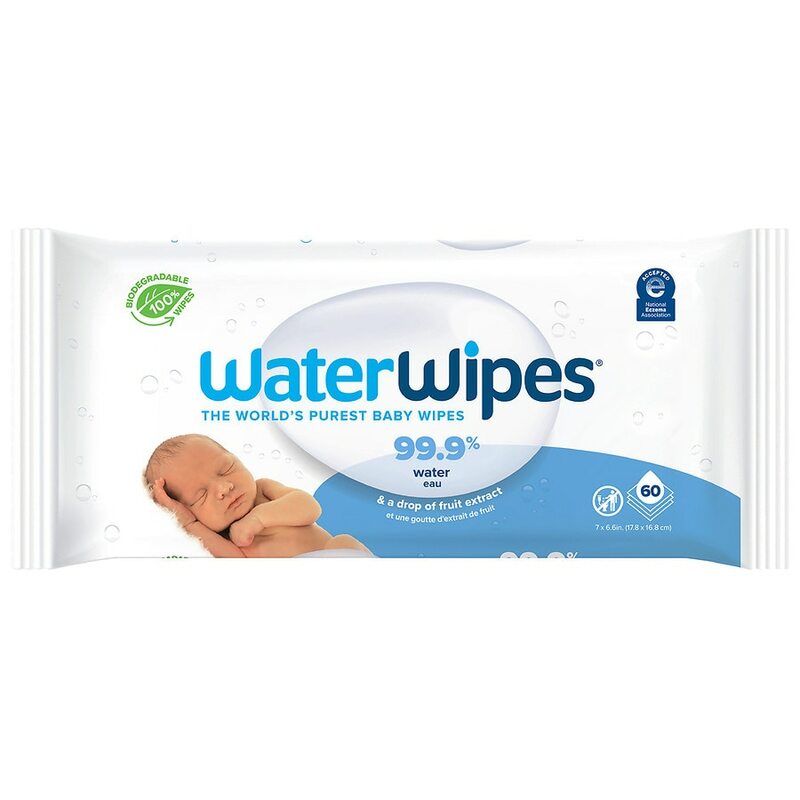 World's purest wet wipe - made using 99.9% water, 0.1% grapefruit seed extract - and nothing else. Suitable for newborns, and babies of all ages with sensitive skin. These extra-soft absorbent wipes leave no greasy residue. Free from preservatives - contains none of the preservatives or ingredients typically found in other wet wipes. Convenience and purity - the convenience of wet wipes with the genuine purity of cotton balls and warm water as recommended for newborns. As they are ultra-mild and non-irritating they significantly reduce the risk of allergic reason on the skin. Peel back lave, pull one wipe at a time, out through the hole. Reseal label after use to keep wipes moist. Dispose of wipe after use. Do not flush. do not dismantle or cut open the pack. Do not transfer WaterWipes to another container. To avoid risk of choking of suffocation, keep wipes and plastic bags away from babies and children. Plastic bags are not intended for use by children. As this is a natural product without the usual preservatives, please use within one month of opening. Store in a cool, dry place, below 86°F/30°C. This is not a medical treatment for eczema/dermatitis, but can help to cleanse problem dry skin.